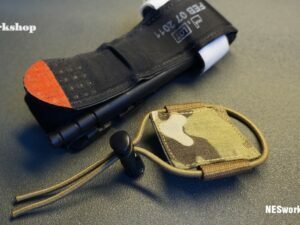 Small Pouch for Mission Essentials is a tiny and versatile addition to an oрerators kit. 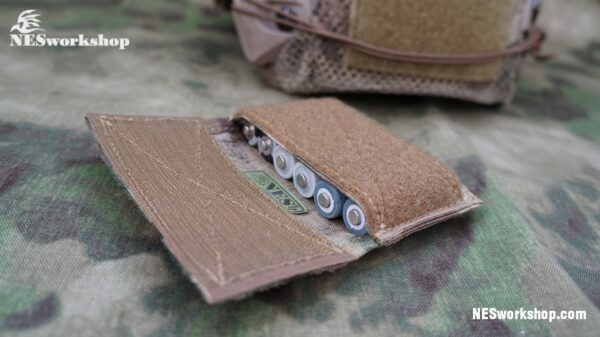 It is designed to hold 6x AA batteries for convenient carry. 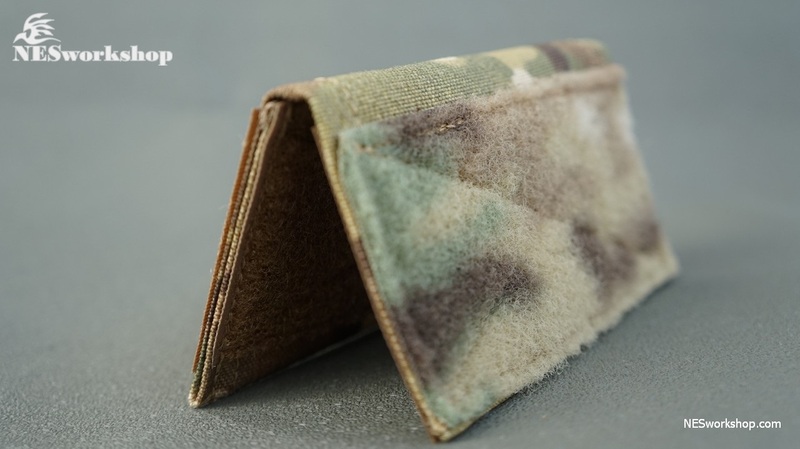 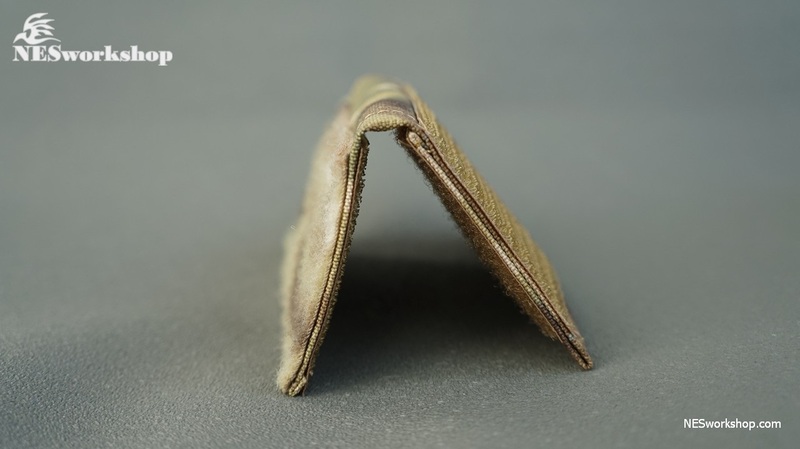 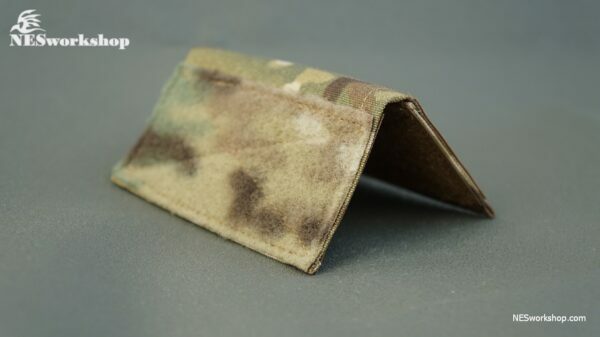 The pouch is a simple design with hook Velcro sewn on the back for attachment anywhere. 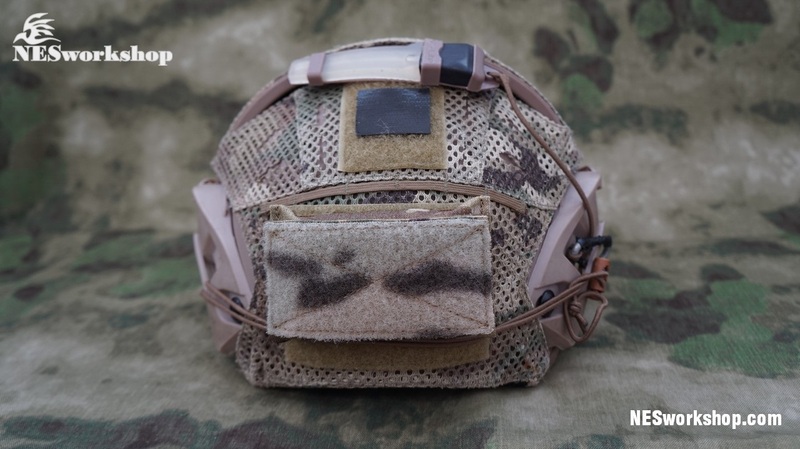 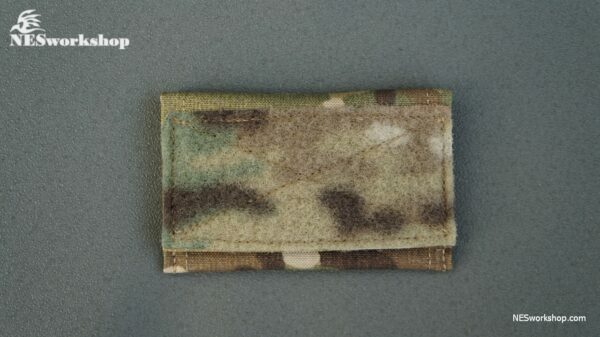 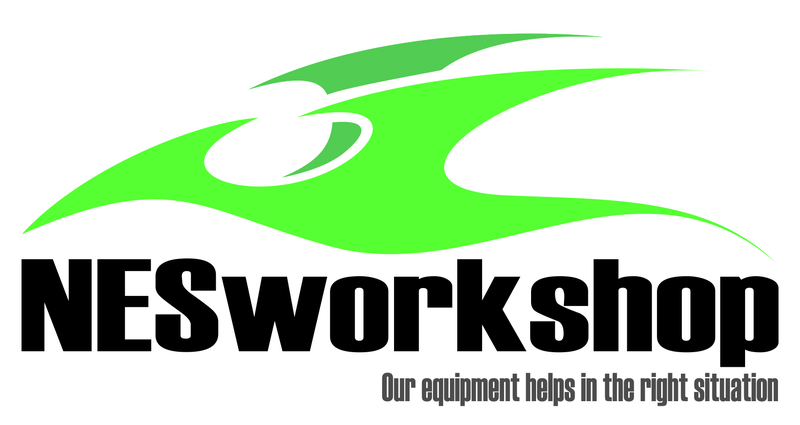 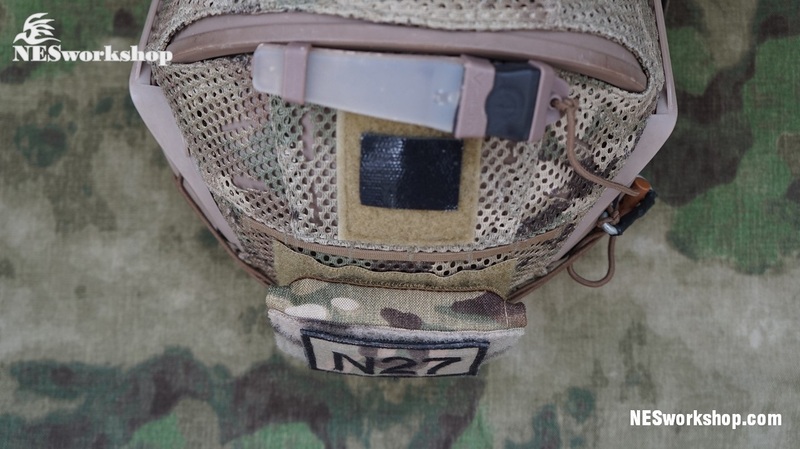 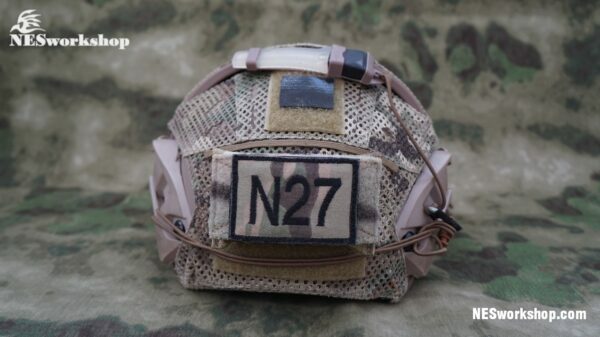 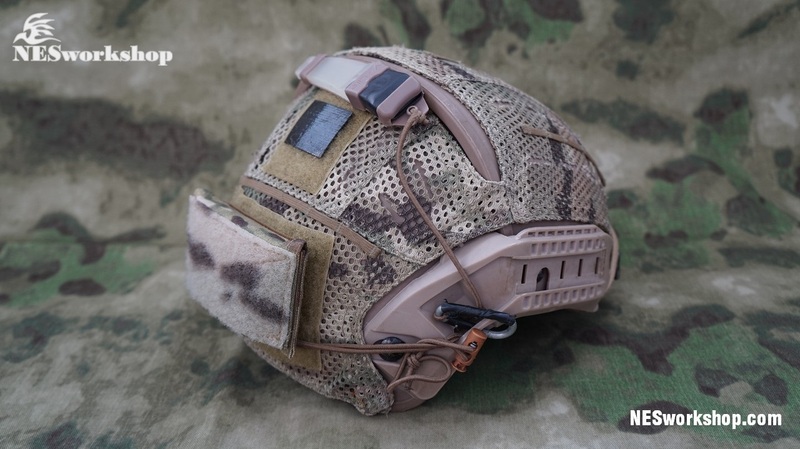 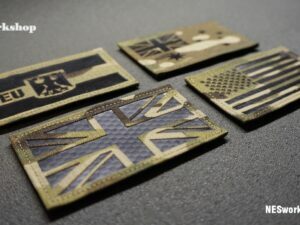 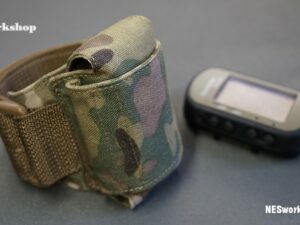 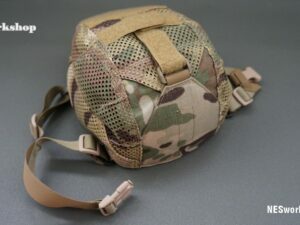 It works great as a simple counterweight on the back of a helmet or can be placed on the sleeve of a combat uniform. 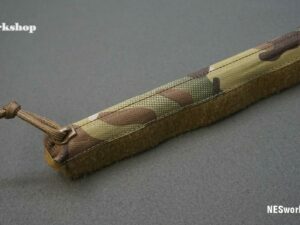 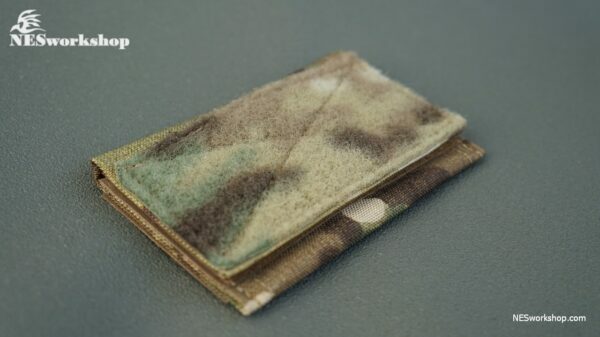 It is also perfectly sized for small miscellaneous kit such as safety pins, meds, ID cards, survival kit, etc. 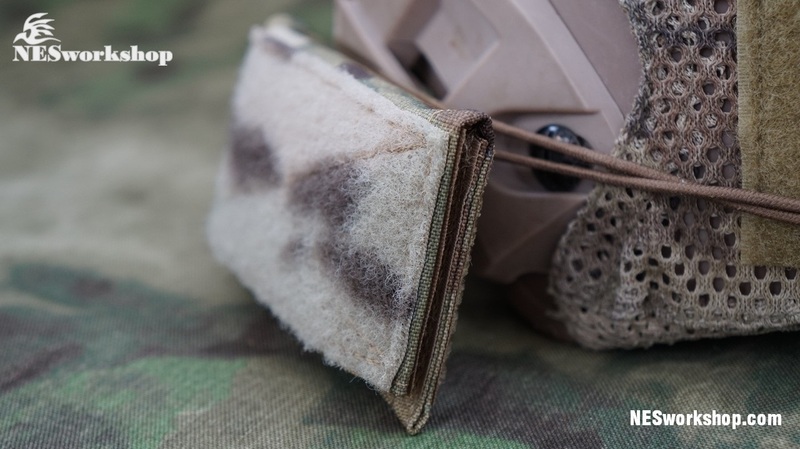 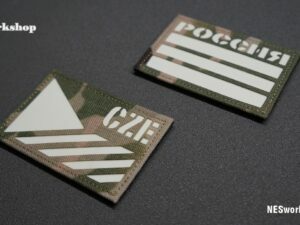 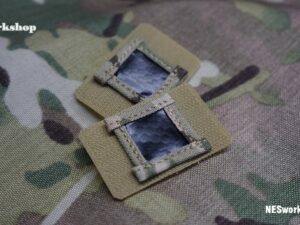 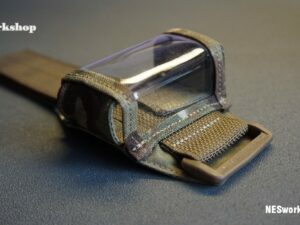 The outside pouch flap has a section of pile tape for attaching patches and IFF devices.